Bloomberg published an article today entitled, “Behind Trump’s Russia Romance, There’s a Tower Full of Oligarchs.” It seeks to provide an explanation for Donald Trump’s friendly attitude toward Russia. It provides evidence the answer is that Russians buy a lot Donald Trump’s apartments and they do it with money that is often dirty. The Bloomberg article just begins to pull the curtain on this story. This essay attempts to bring together the investigative reporting from several different sources. What we find is that the relationship between Trump’s businesses and money laundering goes back to the 1980’s. This relationship helps us understand why the Russians would be interested in helping Trump get elected. Who Buys Apartments in the Trump Towers? On the 78th floor: a Russian who once was accused of mob ties and extortion by an oligarch. On the 79th, an Uzbek jeweler investigated for money laundering who was eventually executed on the street in Manhattan. And four floors higher, a pro-Moscow Ukrainian politician whose party hired a Donald Trump adviser. Trump’s soft spot for Russia is an ongoing mystery, and the large number of condominium sales he made to people with ties to former Soviet republics may offer clues. “We had big buyers from Russia and Ukraine and Kazakhstan,” says Debra Stotts, a sales agent who filled up the tower. The very top floors went unsold for years, but a third of units sold on floors 76 through 83 by 2004 involved people or limited liability companies connected to Russia and neighboring states, a Bloomberg investigation shows. The reporting involved more than two dozen interviews and a review of hundreds of public records filed in New York. The article describes one specific case that raised suspicions of money laundering: The case of Eduard Nektalov. Eduard Nektalov, an Uzbekistan-born diamond dealer, purchased a 79th-floor unit directly below (Kellyanne) Conway’s for $1.6 million in July 2003. He was being investigated by federal agents for a money-laundering scheme, which involved smelting gold to make it appear like everyday objects that were then hauled to drug cartels in Colombia. Nektalov sold his unit a month after he bought it for a $500,000 profit. Less than a year later, Nektalov, rumored to have been cooperating with authorities, was gunned down on Manhattan’s Sixth Avenue. The Miami Herald published a great article last October. It provides a breakdown of who or what owns the apartments in the Trump Towers. It turns out that 62% of his units are owned by “shell companies” that do not disclose ownership. This makes it easy to launder dirty money. An article Time magazine published on August 15th on Trump’s ties to Russia is taking on a whole new significance now that Trump won the election. 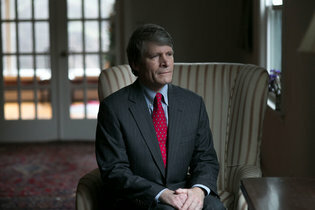 [i] Jeff Nesbit wrote the article. He is the former communications director to the former Vice President Dan Quayle (R-IN) while he was in the White House. Nesbit notes that Trump states, “For the record, I have ZERO investments in Russia.”[i] In Trump’s first press conference as president-elect, he stated he has “no Russian loans.” Any time Trump tells the truth about an important issue in a flagrant fashion like this, we might be suspicious. Nesbit writes “Tax evasion and money-laundering are the core of Bayrock’s business model” and “(Trump) didn’t just partner with Bayrock; the company embedded with him.” You do not need to invest in Russia or borrow money from Russians to launder dirty Russian money. On March 6th, 2015 The Financial Crimes Enforcement Network (FinCEN) imposed a $10,000,000 civil penalty against Trump Raj Mahal Casino Resort for significant and long-standing anti-money laundering violations. [ii] In 1988 the U. S. attorney’s office opened an investigation in to Trump for laundering the money of Robert Hopkins, the head of Atlantic City’s largest gambling ring. [iii] Hopkins was connected to the mob. Trump attended the closing of the sale himself. Hopkins came with a briefcase loaded with $200,000 in cash for a deposit. The government subsequently nailed Hopkins’ mortgage broker, Frank LaMagra, on an unrelated charge and he offered to give up Donald, claiming Trump “participated” in the money-laundering – and volunteering to wear a wire on him. From 1988 to the present, Trump businesses have been associated with money laundering. ABC News describes how Trump met with a group of Russian journalists at his New York office to help boost interest in the Trump Soho project. This ability of Russians to invest in high-end real estate increased in the 1990’s. The Christian Science Monitor reported in 1995 that the Russian mafia was expanding into new areas and it was using the US to launder dirty money. [ix] In the early 2000s Russian started to accrue wealth and began looking for places to invest their money. The Trump brand has a particular appeal to Russians apparently. The ABC News report described it as being associated with Luxury. A Financial Times investigation has found evidence that one Trump venture has multiple ties to an alleged international money-laundering network. Title deeds, bank records and correspondence show that a Kazakh family accused of laundering hundreds of millions of stolen dollars bought luxury apartments in a Manhattan tower part-owned by Mr. Trump and embarked on major business ventures with one of the tycoon’s partners. The article focuses on one particular case of money laundering involving the family of Viktor Khrapunov. Now the details of Bayrock’s association with the family of Viktor Khrapunov, a former Kazakh energy minister and ex-mayor of the city of Almaty, show it was connected to an alleged laundering scheme at the same time as it was collaborating with Mr. Trump. Lawyers for Almaty told a US court in March that Mr. Khrapunov and his family “conspired to systematically loot hundreds of millions of dollars of public assets . . . and to launder their ill-gotten gains through a complex web of bank accounts and shell companies . . . particularly in the United States”. …Among the dozens of companies the Almaty lawyers say the Khrapunov laundering network used were three called Soho 3310, Soho 3311 and Soho 3203. Each was a limited liability company, meaning their ownership could easily be concealed. These companies were created in New York in April 2013. A week after they were created, property records show these companies paid $3.1 million to buy the apartments that correspond with their names in the Trump Soho, a luxury hotel-condominium complex in Manhattan. The Financial Times article provides an interesting graphic that depicts how the money laundering scheme worked. Shortly before the Soho companies bought the apartments, more than $3.1m flowed out of Ms. Kudryashova’s Wells Fargo account to the firm of Martin Jajan, a New York lawyer. Mr. Jajan proceeded to sign purchase documents for the Trump Soho apartments as buyer’s agent. Other bank records show further links between Ms. Kudryashova and her relatives and the Soho shell companies. Mr. Jajan did not respond to a request for comment. The Financial Times article demonstrates how through sales like this money that is acquired through illegal means can be made clean. The article notes the Trump Soho is an early example of a building that bore the Trump name but was built by someone else. The partners in Bayrock were prepared to pay to license his name. Trump Soho was just the beginning. As work on Trump Soho got under way in 2007, the partnership between Mr. Trump and Bayrock was gathering momentum. Another tower, in Fort Lauderdale, was rising. A 2008 Bayrock presentation includes a picture of Mr. Trump grinning beside Mr. Arif and names him as a referee. Bayrock had its office on the 24th floor of Trump Tower and calls the Trump Organization a “strategic partner”. Trump and Bayrock were both associated with money laundering before they began working together. The projects they have worked on together have all involved luxury real estate. The Financial Times article describes how the laws regulating real estate leave room for a lot of questionable activity. The ability to pay in cash obviously makes purchasing real estate an appealing way to launder money. Luxury real estate also has a value that is largely arbitrary. Is this apartment in the Trump Soho worth $2 million or 3$ million? If one LLC with undisclosed ownership is paying another LLC with undisclosed ownership, they can set the price they want. The arbitrary nature of the value of luxury real estate provides a great deal of latitude for those attempting to launder large amounts of dirty money. High-end real estate is also a more efficient way to launder large amounts of dirty money. Purchasing one Trump Soho apartment for $3.1 million provides less exposure than purchasing five different less expensive homes. …Garten subsequently said he was confident the minister alleged to be laundering Iranian funds, Ziya Mammadov, had no involvement in his son’s holding company, even though some of the son’s major businesses regularly partnered with the transportation ministry and were founded while the son was in college overseas. Ziya Mammadov did not respond to a telephone message the AP left with his ministry in Baku or to emails to the Azerbaijan Embassy in Washington. When you take a look at the history of Trump’s businesses practices there is a recurring theme: his association with money laundering. In fact, the evidence suggests running successful casino or hotel/condominium enterprises for investors has never been Trump’s core business. The stocks for Trump businesses have been a terrible investment: he is described as a “stock market disaster.”[xii] His businesses have however successfully provided unprecedented opportunities for people around the world to launder dirty money. The fine the Trump Taj Mahal received for “substantial and long standing” money laundering violations was the largest ever levied against a casino. [xiii] This is where Trump has distinguished himself. Perhaps those who view Trump as a failed businessman simply do not understand his core business. the largest bank in Cyprus, one of the key offshore havens for illicit Russian finance. Ross has been Vice Chairman of this bank and a major investor in it since 2014. His fellow bank co-chair evidently was appointed by none other than Vladimir Putin…since the 1990s Cyprus has served as one the top three offshore destinations for Russian and former Soviet Union flight capital, most of it motivated by tax dodging, kleptocracy, and money laundering. Let’s put these relationships between Trump and these Russian investors in context. Right now the European Union (EU) has economic sanctions in place against Russia for its military annexation of Crimea. This move into Crimea is the first time the world map was changed by force since WWII. … Pansky and Shtainer told ABC News that purchases from Russian buyers in New York and Miami began to drop precipitously in 2014, when the U.S. imposed economic sanctions on Russia in response to the Russian military incursion into Crimea. The economic sanctions on Russia have cut off the oxygen to Trump’s businesses around the world. Time magazine published an article November 18th by Simon Shuster entitled, “The West Can’t Stand Up to Russia in the Donald Trump Era.”[xiv] Shuster argues the positions Trump has advocated on NATO, Crimea, Russia, and Putin fundamentally change the balance of power in the 21st century in ways that undermine the strength of all Russia’s enemies. This helps us understand why Putin would go to such trouble to influence the US election to help Trump. He knows Trump’s brand has been saved by Russian money and therefore sanctions on Russia are also sanctions on Trump. The Trump Towers are filled with Russians that launder dirty money. Exclusive: Big U.S. banks to push for easing of money laundering rules, Reuters, Februrary 16, 2017. Will Trump end federal crackdown on dirty cash in luxury real estate?, Nicholas Nehamas, Miami Herald. January 22, 2017. Before Donald Trump attacked foreigners, he helped sell them condos, Miami Herald, October 14 2016. Provides a breakdown of who or what owns the apartments in the Trump Towers, including Attie, Brazilian Mayor. The Curious World of Donald Trump’s Private Russian Connections, JAMES S. HENRY, The American Interest. Trump, The Russian Connection, And The Future Of Ultra Luxury Real Estate, Peter Lane Taylor, Forbes. The future looks good for ultra luxury real estate since Trump was elected. Trump’s SoHo Project Was Co-Financed by Dirty Kazakh Money, Financial Times, Geoffrey Smith, Fortune, Oct 19, 2016. Dirty money: Trump and the Kazakh connection, Financial Times. Wayne Barrett: Donald Trump and Rudy Giuliani, peas in a pod, Daily News. Trump was investigated for money laundering in the late 1980’s. Then he became a Giuliani supporter. U.S. expands investigation into money laundering by foreign cash buyers. Government finds evidence of suspicious activities in high-end real estate, Housingwire, July 27, 2016, Ben Lane. FinCEN Expands Reach of Real Estate “Geographic Targeting Orders” Beyond Manhattan and Miami, FinCEN, July 27, 2016. Feds expand controversial tracking of secret home buyers to Broward, Palm Beach and more: Feds say more than 25 percent of reported transactions were suspect in Miami and Manhattan, July 27, 2016 02:15PM, By Sean Stewart-Muniz. Russia.” 26 Jul. 2016, 5:50 PM. Tweet. News L.P., 04 September 2016. Web. 14 January 2017. [vi] Burgis, Tom. “Dirty money: Trump and the Kazakh connection.” Financial Times. Nikkei Inc., 19 October 2016. Web. 13 January 2017. [x] Burgis, Tom. “Dirty money: Trump and the Kazakh connection.” Financial Times. Associated Press. PBS News Hour. The Public Broadcasting system, 04 June 2016. Jones Company, 22 July 2015. Web. 13 January 2017. The Wallstreet Journal. News Corp., 11 February 2015. Web. 14 January 2017. Time. Time Inc., 18 November 2016. Web. 04 January 2017. Great article reinforces other material I have read. 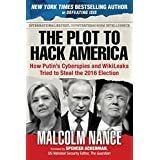 I read the book “The Plot to Hack America” great read!